Dr. Dietz specializes in comprehensive management of hand, wrist, and elbow disorders. Areas of particular interest include upper extremity nerve compression syndromes, including carpal tunnel syndrome, as well as wrist and elbow fractures and ligament injuries. He has extensive experience with arthroscopy ... Read More of the wrist and elbow, including endoscopic carpal tunnel release. 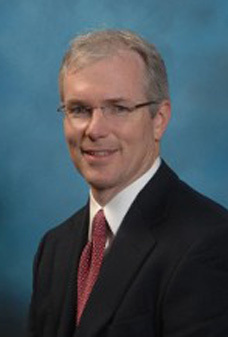 Dr. Dietz received his Bachelor of Science degree in biology from the University of Michigan in 1988. He then attended medical school at Wayne State University in Detroit, MI and was graduated in 1992. He finished a residency in orthopedic surgery at Henry Ford Hospital, Detroit, in 1997. Dr. Dietz then completed a one-year fellowship in hand and microvascular surgery at the Hand Center of Western New York in Buffalo. He joined St. Clair Orthopaedics and Sports Medicine in 1998. In 2004 and 2008, Dr. Dietz was named by his peers as one of the area's top orthopedic surgeons by Hour Detroit magazine in its annual "Top Docs" survey. James Dietz, MD offers services at multiple MI locations.